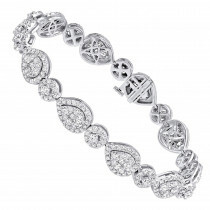 Received this bracelet for Valentines Day. 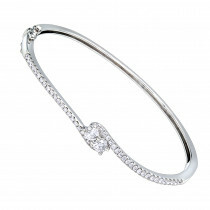 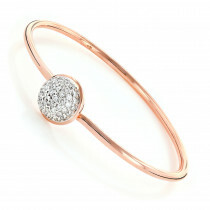 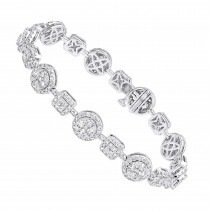 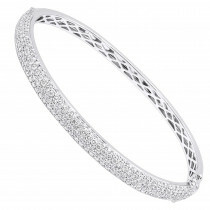 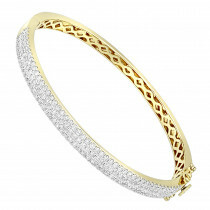 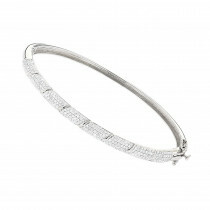 Beautiful baguette and round diamonds make this a very intricately designed diamond bangle bracelet. 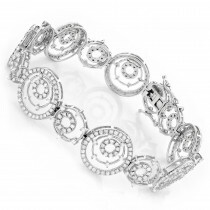 Love the antique styling. 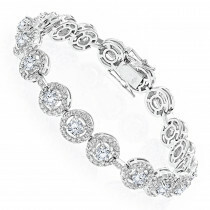 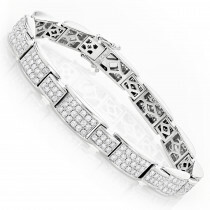 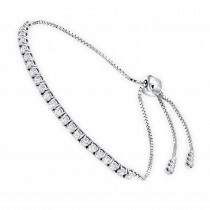 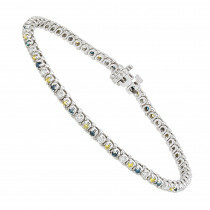 Beautiful diamond bracelet with an adjustable clasp. 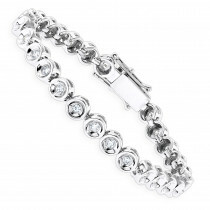 I have very small wrists and getting a bracelet to fit well is very hard. 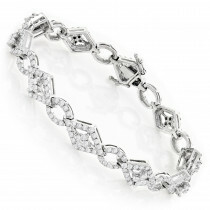 Awesome quality diamonds too. 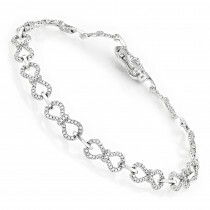 Bracelet arrived last week. It is gorgeous. 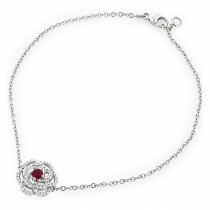 You can instantly tell that it is really well made. 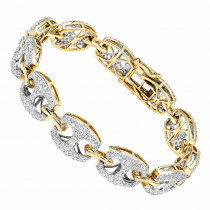 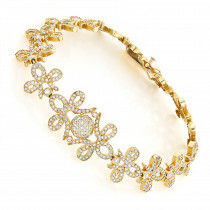 This is a very comfortable gold and diamond bracelet. 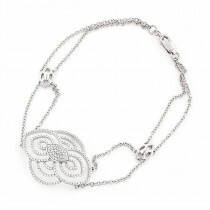 The gallery back insures keeps the weight down for all day wear. 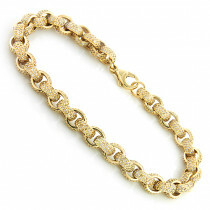 Very happy. 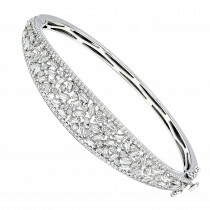 I love this bracelet, the diamonds have unbelievable shine and even from a little distance it looks like pear cut diamonds, and the price is great as well, we almost purchased a similar bracelet locally, it was nearly $3k more but then decided to take a chance and buy online as ItsHot offers 30 days money back guarantee. 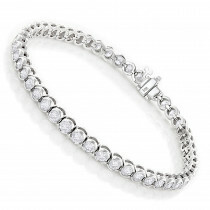 We went to compare this bracelet with the one we saw at local jewelry store and with similar carat weight this one has a lot more sparkle and diamonds looks much better! 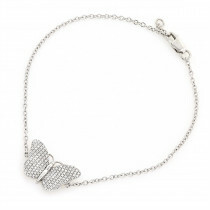 very happy with this purchase! 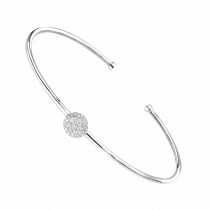 this is a very simple yet stylish bangle bracelet which can fit larger wrists and does not need/ave a lock. 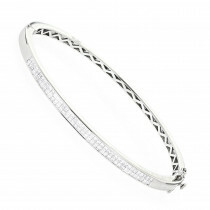 Love this design and it can be stacked with my other thin bangles.